Snowy Photos: December 29th, 2010: Holy Snow! 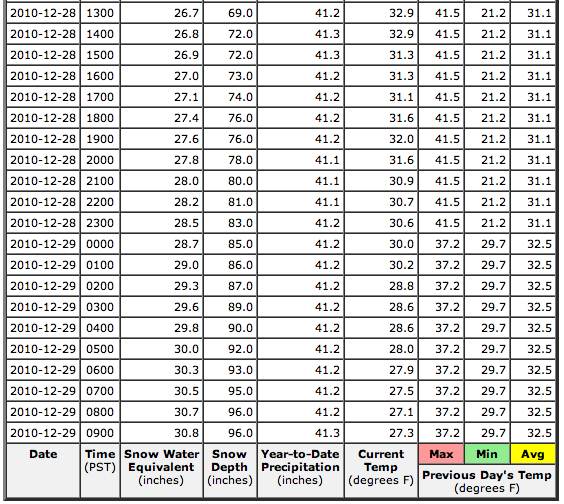 December 29th, 2010: Holy Snow! Weather radar from San Francisco to Tahoe. 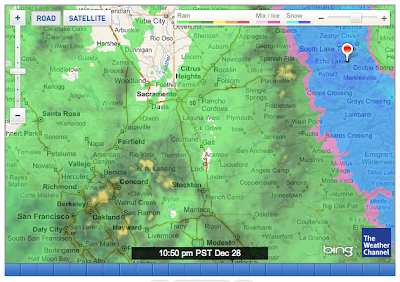 A whole lot of precipitation and it's all headed towards South Lake Tahoe. Oh my that's a lot of snow! How much snow? 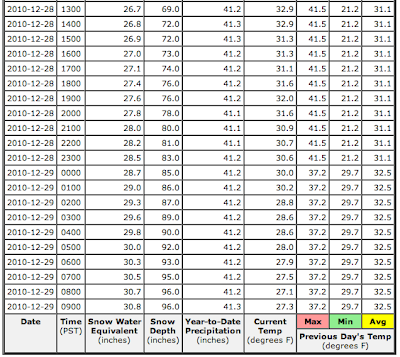 According to the Echo Peak weather station, 27 inches in 20 hours at Echo Lake! Epic snow. I should probably stop blogging and get in the Subaru with JonnyB and SLC. Really snowy photos from Echo Lake New Years 2011 coming next week, its sure to be quite the adventure. Welcome back to Cali. Now get your gear in the car and let's roll! JB.